Magellan gives more functionality then ever before. If you need a GPS in your car, Magellan has you covered. If you want to be able to record what you see on your road trips, a dash cam will do the trick. But why clutter your dash? What will work even better is the Magellan RoadMate 6230-LM, DashCam Navigator. It is a GPS and dash cam all-in-one. The Magellan RoadMate 6230-LM DashCam Navigator came in a very nice printed box with photos and specs on the box. Opening the box showed the well protected receiver. Also included was the owner's manual, mount, and power cable. The receiver was mostly plastic, but the quality of materials in the construction of it was very good. The fit and finish was also very good. It felt well put together. The Magellan RoadMate 6230-LM DashCam Navigator is a premium product that is safe to use. In regards to it's GPS functionality, I love it! So many of us will just pull out our cellphone to help us get around. But that can be an accident waiting to happen. The larger 5" display can be mounted on the dash, is easier to see, and allow for hands free use. Safety is therefore much improved. I also really love all of it's features! It has all of the standard GPS features you are used to. The Magellan RoadMate 6230-LM DashCam Navigator however is not a standard GPs receiver. It is a premium device, with premium features. These features include Landmark Guidance, Traffic Camera alerts, Best Parking, Multi Destination routing, and Free Lifetime Updates. Using the GPS features on the Magellan 6230-LM was very simple. The user interface was very easy to learn, and made sense. The one touch favorites menu made it easy to save your favorite locations. Need to make multiple stops? Magellan has you covered there as well. The 7 million points of interest helps you find the gas stations, restaurants, or other services you are looking for. And the Highway POI's make it even more convenient for you. The Junction View made it simple to show you which lane you should be in when you come to junctions in the road. And Landmark Guidance, such as "turn right after the McDonalds" helps make navigation that much simpler. If you don't like traffic tickets, the Traffic Camera Alerts will alert you to red light and speed cameras. Having the DashCam built-in is very cool. When the Magellan RoadMate 6230-LM DashCam Navigator is on, it is also automatically recording video of the road on the microSD card. The DashCam lens has a wide 120 degree vision to be able to record everything on the road in front of you. So now scenes from those scenic road trips can be kept. And if you previously missed catching the Elk crossing the road because you couldn't pull out your cellphone in time. Or even more important, ever get into an accident and the other driver would not admit they were in the wrong? Now you will automatically have it on video? Even better, it has a G-Shock feature: if it senses a sharp movement, such as an accident, the Magellan 6230-LM will automatically lock the footage, so it will not get erased on recorded over. You can watch recorded video either on the device, or on a windows based computer. When it came to testing the Magellan 6230-LM DashCam Navigator, I loved the functionality. It is a prime example of synergy at work. There are a ton of features, and once you get on the road they all come together to not only help you get where you need to go, but to also find those pit stops along the way. The display was crisp and clear with good brightness, even in daylight. The speakers were sufficiently loud to help me keep my eyes on the road. I really liked the Junction View, Lane Guidance, and Highway Exit POI's. And the traffic Camera Alerts also really came in handy. The Magellan RoadMate 6230-LM DashCam Navigator not only got me to all my destinations correctly, it got me to all my destinations correctly, it got me there unharmed, and helped me find some pit stops along the way. It functioned as advertised, and sometimes that's the best compliment you can give. As a premium GPS, it is excellent. Add in the built-in DashCam, and the 6230-LM is a game changer! I was skeptical about the performance of the DashCam at dusk and at night, but I was pleasantly surprised. During daylight hours it did well, and at dusk I was pleasantly that it did very well under low light. At night it also did better than expected. Magellan has a great product in their RoadMate 6230-LM DashCam Navigator. If you are either looking for a GPS for your vehicle, or maybe looking for a holiday gift for a loved one, their 6230-LM deserves to be on your short list. 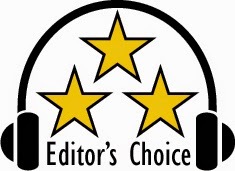 Based on it's design, features, quality and performance, the Magellan RoadMate 6230-LM DashCam Navigator has earned our Editor's Choice Award. Kudos to Magellan for a great product. For more info and complete specs check out their website at www.magellangps.com.